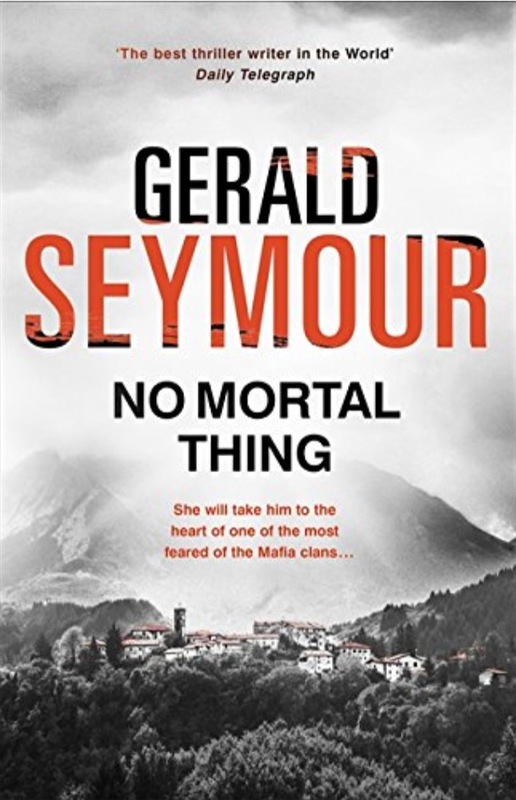 Just a quick note that the paperback of No Mortal Thing is out in paperback in the UK next week, specifically on Thursday 3 November 2016. 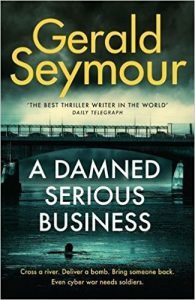 Just a quick update to report that www.amazon.co.uk are now listing the new Gerald Seymour novel with the title Jericho’s War. Keep in mind that titles can change closer to the publication date. As yet there is no blurb yet that I can see. I’ll add that when I find one. Publication is still set for January 2017. 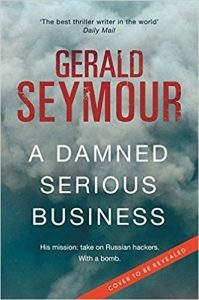 There is no title or plot information yet, but the next untitled Gerald Seymour novel is set for publication on 12 January 2017, at least according to Amazon UK. 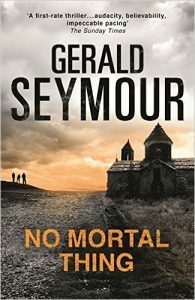 Also I seem to recall seeing that the paperback of No Mortal Thing is due out in November 2016. I’ll see if I can pin that one down. Bearing in mind that the book appeared in shops last week here is a quick reminder that today is the official publication date for the new hardback No Mortal Thing. 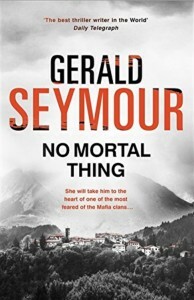 The official publication date for No Mortal Thing is 7 January 2016 which is still a week away. However I have just spotted copies of the hardcover on sale in my local branch of Tesco for £9. Handy for those of us who don’t want to wait. I’ve added my review page for the upcoming novel No Mortal Thing. You can find the review on the No Mortal Thing page. The new novel is out in hardcover on 7 January 2016 in the UK. Many thanks to Hooder & Stoughton for my review copy. A cover image for the new Gerald Seymour novel No Mortal Thing has appeared on Amazon.co.uk. Publication date is still set for January 2016.